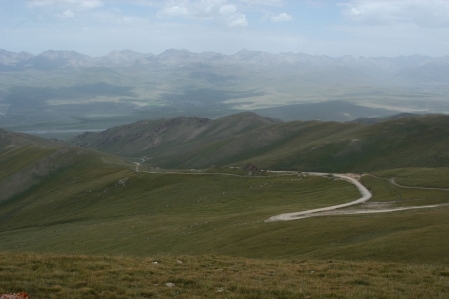 About the Shamaldi-Jilga Ashuu pass (3,414 m) is the possibility of the Dolon Ashuu pass (3,038 m) to reach. 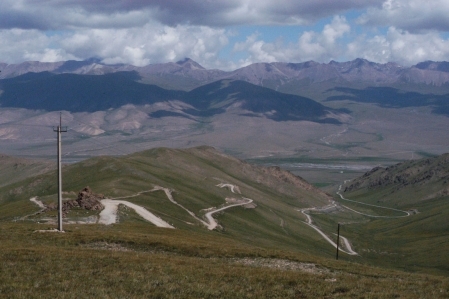 The road runs through a beautiful plateau that has many different facets. 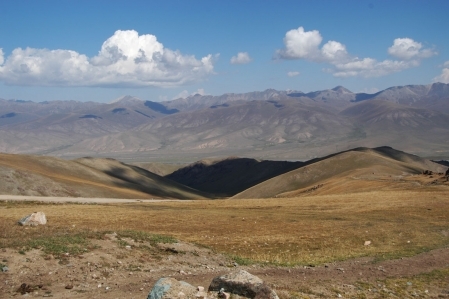 From surrounding farmers, this plateau is used as pasture for horses, cows, goats, and sheep. There are very many in Kyrgyzstan large herds of horses how they can be admired only on TV otherwise. Sheep with a thousand pieces and more are not uncommon here. On the northern side of the pass there are many marmots to admire.